Dan Patch was a horse for the ages and much admired. He set records in races and time trials throughout the US, earning the titles “The greatest harness horse in the history of the two-wheeled sulky” and “World Champion Harness Horse”. 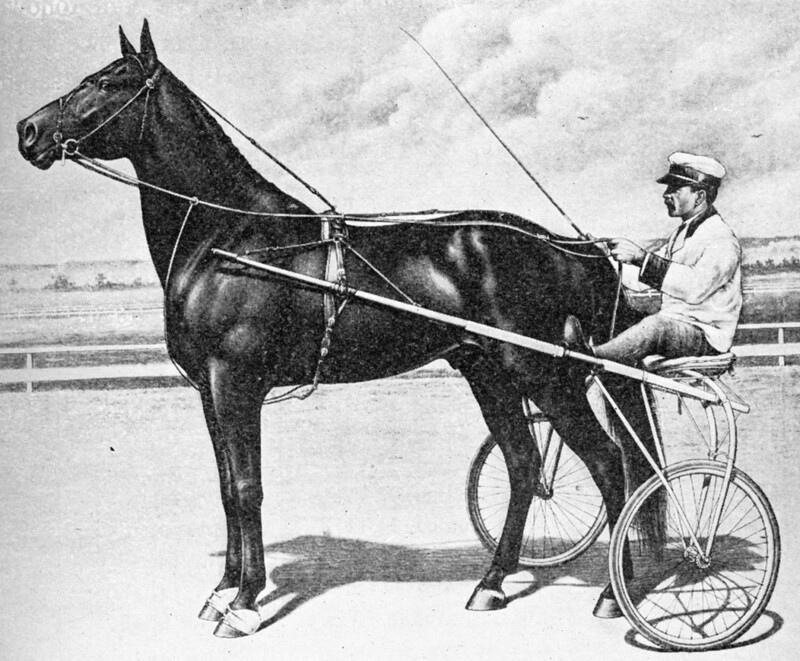 In the fall of 1906, Dan Patch paced a time-trial mile in 1:55 ¼ in Lexington, an almost unbelievable record that would stand for several decades. The Canadian Horse Racing Hall of Fame’s decision to honour Dan Patch’s exploits is a result of the Canadian portion of his career and the role he played in Canadian harness racing history. The Hall of Fame continues to expand its reach to honour all race horses and people who have brought honour to Canadian racing and to Canada as a nation. Dan Patch made his final Canadian appearance at Toronto’s Exhibition Park October 21, 1905, two weeks after setting his world record in Lexington. He was then owned by Mr. Marion W. Savage, a Minnesota businessman and founder of International Stock Foods, a company that also had a Canadian operation located in Toronto. The Toronto time-trial garnered a Canadian record for a mile on a half-mile track of 2:06, breaking the previous record by three full seconds. Today, that record is acknowledged with a granite bench engraved with the words “World Champion horse ‘Dan Patch’ broke the Canadian record here in 1905”, located outside the north end of BMO Field at Exhibition Place.